Patrolling the perimeter fence at Savannah/Hilton Head International Airport (SAV) is a difficult task, thanks to about 400 acres of swampland—and the alligators, snakes and other wildlife that live there. But it’s an easy job for a camera-equipped drone. That’s why the Georgia facility is striving to become one of the first commercial airports in the United States to integrate drone flights into some of its routine safety and security operations. Just as NASA has a Mission Control room to monitor spacecraft, Fort Lauderdale-Hollywood International (FLL) has a ramp control room to track aircraft in non-movement areas. 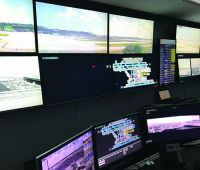 Earlier this year, the airport installed a high-tech system that is especially valuable for monitoring and managing aircraft in areas outside of the visual field of air traffic controllers. South Florida is a hot tourist area, with air traffic increasing steadily for the last few years. 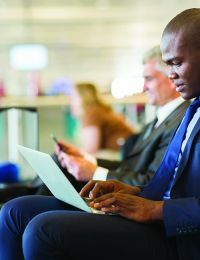 To cope with overall passenger growth and seasonal swings, Fort Lauderdale-Hollywood International Airport (FLL) is leveraging information technology and automation. 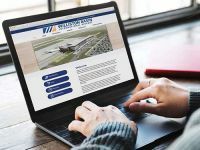 The Maryland Aviation Administration is transforming the way it manages the volume of facility documents and geographic information system data generated and used at its two airports. When you hear the word "Orlando," you probably think of vacation attractions: Disney World. Sea World. Beaches. Golf. Or perhaps you've attended an event at the Orange County Convention Center, the second-largest convention complex in the United States. 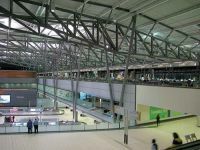 Last fall, YYC Calgary International Airport (YYC) in Alberta capped its $2 billion airport development program with the opening of a new five-level, 2 million-square-foot terminal brimming with state-of-the-art technologies (see list to the left for specifics). Together with a 14,000-foot runway that opened in June 2014, the projects represent the largest single infrastructure program in the airport's history. When Tim Bradshaw took the helm as executive director at Roanoke-Blacksburg Regional (ROA) in 2014, the Virginia airport didn't have a ground transport policy. These days, ROA not only has a formal policy in place, it also has a new system that uses low-cost beacons to track activity and revenue. As director of Information Technology at Tulsa International Airport (TUL), James Rockholt knows a thing or two about cybersecurity. It's what he doesn't know that keeps him awake at night. 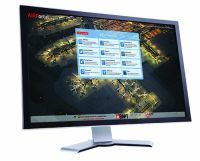 The scope of potential problems that fall under his domain is mindboggling, ranging from inside threats mounted by disgruntled employees or tenants to attacks from outside forces such as professional cyber criminals, politically motivated attackers (hacktivists), state-sponsored aggressors from foreign countries, "script kiddies," and even customers passing through the terminal. 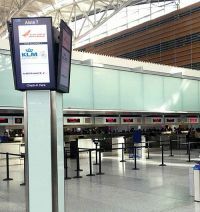 As part of an ongoing effort to improve the passenger experience, San Francisco International Airport (SFO) recently debuted more than 80 new common-use self-service units (CUSS) in its International Terminal. 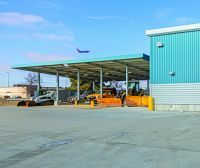 When Steve Kjergaard accepted the position as director at Sloulin Field International Airport (ISN) six years ago, he thought it would be a static, solid three-year experience without much fanfare. Boy was he wrong. Shortly after he arrived at the North Dakota facility, an oil boom struck and flooded the area with geologists, oil field workers and contractors. Hotel rooms and rental cars became scarce, and traffic at ISN ballooned. With more than 16 million annual enplanements, Boston Logan International Airport (BOS) is the undisputed grande dame of Massachusetts. What many people don't know, however, is that during summer, the state's second-largest airport rivals BOS' flight operations due to its own volume of general aviation traffic. Once the exclusive domain of tech geeks and ultra-serious computer gamers, online forums are now mainstream information sources for many people. Airport operators and personnel, in fact, have multiple industry-specific sites at their disposal. 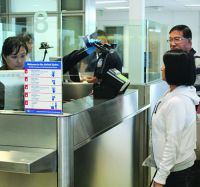 Wait times at TSA checkpoints became a hot topic this summer, especially when passengers stuck in screening lines began missing flights after arriving hours before their departure times. As lines grew, so did the frustration, and U.S. airports redoubled ongoing efforts to keep passengers happy while maintaining high security levels. Collaboration and ongoing improvement are guiding principles at Ottawa Macdonald-Cartier International (YOW). Recent enhancements to the airport's high-tech operations control center demonstrate how important both are at the Ontario facility. 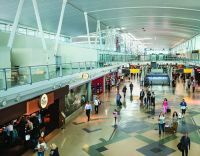 As airports become increasingly complex environments to navigate, guests need more help from wayfinding aids. 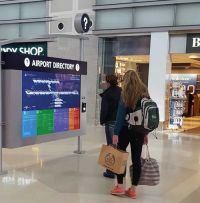 Detroit Metropolitan Airport (DTW) is doing its part to relieve travelers’ stress by installing digital LG directories throughout its two terminals. When Uber burst onto the scene several years ago, using a smartphone app to arrange rides from privately owned vehicles struck a chord with select customers. 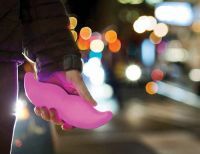 Early adopters bragged enthusiastically about the money they were saving, other companies launched similar services and a new business model was born: transportation network companies (TNCs).